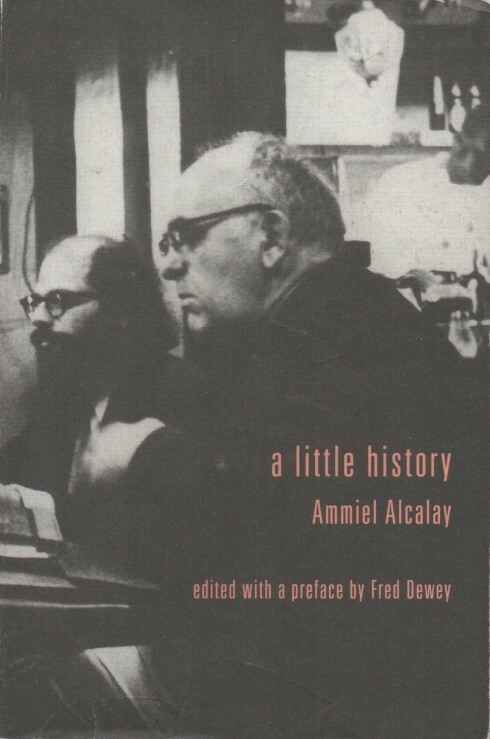 This really isn’t little history but a very big history that Ammiel Alcalay takes on. Stemming from Charles Olson’s resignation from his position at the Office of War Information’s Language Section, in a time when Olson was an unrecognised poet. Olson was dismayed at policies enacted by the American government. His resignation put him on a different path where he might truly have an influence. And, while the book has Olson at its heart it also investigates the role of the poet in the face of ‘official history.’ How the media, the government, let’s be blunt about it, the CIA, FBI and all other covert government operations in the USA, work to project their views, their strategies and policies. Propaganda is a phrase that springs to mind. It happens in America, it happens here in England, a creeping and secretive strategy to present life, as we think we know it, in such a fashion that makes everything seem natural. The word. William Burroughs railed against it, a virus was the word you often visualise when you imagine the Burroughs campaign against being overtaken by various agencies. Alcalay illustrates how in mainstream American journals, the New York Times being an example, when- ever a poet is reviewed, Olson or whomever, there is a subtle play on their ‘outsider’ status, being labelled an outlaw fraternity, that somehow says to the reader that – ok, Olson is a rebel, but there his interest stalls. I think is what Alcalay is getting at. A subtle, or even, not so subtle marginalisation. You could see Jack Kerouac’s framing as ‘the king of the Beats’ in certain quarters as another example of this. It seems to be a path that will end up as a dead end. Ed Sanders, the Beat Generation as a group. Alcalay draws on his European heritage throughout and con- stantly questions the status quo in American poetry, perhaps trying to push it to a more central and influential position, with the types of poets that will not accept the landscape as it is. He’s talking about control, about imagination, maybe how our imaginations are controlled – often without us having an inkling that they are. I’m short changing Ammiel Alcalay’s book, it is bold, investigative in a way I think Ed Sanders has been for decades. Olson is at the heart of the book, Alcalay has been inspired by him, a poet now dead for almost 45 years. Yet his searching mind still impacts today. I spoke to Ammiel Alcalay recently to try and clarify aspects of this provocative book. Kevin Ring: You obviously consider Charles Olson as a pivotal figure in Twentieth Century poetry. He’s the central figure of your A Little History book. Do you think he’s ‘relegated’ by critics in the USA? Ammiel Alcalay: He has definitely been, as you say, ‘relegated.’ I think there are a lot of different reasons for that and I’m not sure if I even touched on all of them in the book. Simply put, in an age of very diminished horizons, I think the scope of his thought is simply too broad. He turned away from what could have been a very successful academic career and then, to compound matters, he turned away from what could have been a very successful political career, all in order to become a poet. And this just at the start of the Cold War. Given that he is a major source for all that has been most vital in North American writing during that crucial period from 1950 till his death in 1970, and that everything he did was directly antithetical to the ways knowledge was being sliced and diced and shunted off to cordoned off disciplines and terminologies, it’s no wonder he’s been, as you say, relegated. Kevin Ring: The scope of your book is vast, a little like Olson’s scope. Did his mind, his vision, frighten people? I mean the people trying to read him. As well as the CIA possibly? Ammiel Alcalay: What I hope I did in this book, I think, was to simply clear some of the debris surrounding Olson and establish the political and historical context for the radical nature of his work, and how large a force he was in creating the conditions for things that would follow, through the 1960s and beyond. This takes into account his transition from a New Dealer working for Roosevelt to someone who understood, at a very basic policy level, what the impact of the Cold War would be. It’s no accident that Olson seeks out people with experience from the 1930s: Muriel Rukeyser, Edward Dahlberg and, perhaps most significantly, Vincent Ferrini in Gloucester. Vincent had been a union organizer and conscientious objector during World War II and I think their friendship, more than any literary relationship, was key. As someone from a working class background, Olson was also trying to re-establish his affiliations by refusing any and all advantages that the structure of the society was ready to give him, as an educated white male. Of course, he also saw all these societal changes in the way he conceptualized the “human universe,” what that might mean in terms of pedagogy, politics, and historical consciousness. Such things, of course, would be scary to all governmental agencies of intelligence gathering and repression, as Olson’s primary focus was on personal empowerment through each person’s own ability to gather and, more importantly, USE intelligence! 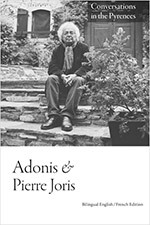 We can see this in the work of people who were so fundamentally influenced by him: Ed Dorn, Amiri Baraka, Diane di Prima, Michael McClure, Ed Sanders, Anne Waldman, and so many others. Not to contradict anything Mr Alcalay proposes in his book, but I think it might be important to keep in mind that Olson “marginalized” himself. Hardly anyone at the time could understand a word he was saying. That even includes Ginsburg and most people who weren’t part of his initiated circle. Not that occupying the “center” was really an ambition… or that this takes away from his fundamental importance…. My father knew & despised Ferrini in the ’30’s in Lynn (they both taught adult ed courses there); in ’62 I brought my early poems up to Vinnie in Gloucester. I quickly spooked him as the next generation. Olson helped me break with Frost, but so did Jeffers.